We are extremely pleased to announce our first presentation of works by the multimedia artist Helène Aylon. The exhibition features a series of abstract paintings, created between 1969 and 1973, that are imbued with meanings that transcend their formal inventiveness and powerful aesthetic presence. Beginning in 1969, Aylon experimented with the idea of creating “painting that revealed itself,” in an attempt to introduce an evolving feminist consciousness to a medium that had, by then, been firmly dominated by the notion of a heroic, and almost exclusively male, American idiom. Refraining from “mark making” (“I didn’t want to be hammered in by exactitudes”) she allowed the works themselves to inform the evolution of her ideas. The exhibition includes selected objects from Elusive Silver, Aylon’s first distinct series of process-driven artworks, made by using industrial materials such as sheet metal, acrylic plastic, and spray paint, and produced in both square and rectangular formats, in sizes ranging from two by two to four by eight feet. The pieces reflect and refract an inner glow that changes visually with the viewer’s stance and the light conditions in which they are seen. The perceptual changes inherent in these works anticipate her later series of the decade in which Aylon radically challenged established norms by creating works that were intended to physically change with the passage of time. Born in 1931 and raised within the Ultra-Orthodox Jewish community in Boro Park, Brooklyn, Helène Aylon was married to a rabbi at the age of eighteen and became widowed, with two young children, at the age of thirty. While in her mid-twenties, she enrolled as an art major at Brooklyn College, taking classes with Ad Reinhardt who became her friend and mentor. In her 2012 autobiography, Whatever is Contained Must Be Released, Aylon writes that “Reinhardt encouraged my new elusive work, and pushed me to go beyond traditional painting.” Reinhardt also arranged for a studio visit with Mark Rothko, a transformative event for the young artist who, having entered the secular art world, felt free to share with Rothko the spiritual foundations of their common cultural backgrounds. 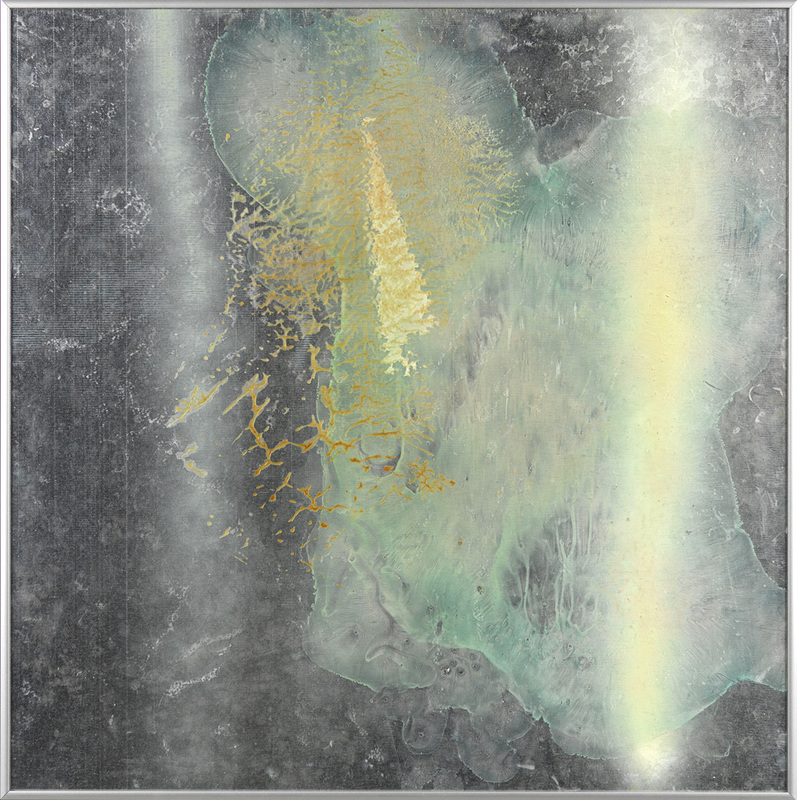 Works from the Elusive Silver series were first seen in 1970 at the Max Hutchinson Gallery in Soho. Following a second solo show there in 1972, she was represented by the legendary art dealer Betty Parsons. Since then, Helène Aylon has participated in one-person and group shows in museums and galleries throughout the United States, Europe, and Israel. She has been the recipient of numerous honors and awards including, among many others, three awards from the Pollock Krasner Foundation, two fellowships from the National Endowment for the Arts, two fellowships from the New York Foundation for the Arts and a Lifetime Achievement Award from the Women’s Caucus for Art. Works by the artist are in the collections of the Whitney Museum of American Art; the San Francisco Museum of Modern Art; the Oakland Art Museum the Virginia Museum of Fine Arts; the Jewish Museum, New York; the Morgan Library and Museum and those of many other distinguished institutions and private individuals. Work by Helene Aylon will also be seen in By Any Means: Contemporary Drawings from the Morgan, at the Morgan Library and Museum, New York (January 18 – May 12, 2019) and in our presentation at The Independent (March 8–10, 2019). The forthcoming exhibition remains on view through March 2, 2019. It is the artist’s first solo presentation in a New York gallery since 1979 when she exhibited at both the Betty Parsons Gallery and 112 Workshop. Leslie Tonkonow Artworks + Projects is located on the 6th floor of 535 West 22nd Street between Tenth and Eleventh Avenues. Hours are Tuesday through Saturday, 10:00 am to 6:00 pm.